We continue to have a very smooth NEEMO 13 mission unfolding in the Carpenter Basin here in the Atlantic Ocean near Key Largo. We have shifted gears from evaluations of center of gravity and optimal weight for future lunar space suits, to life sciences experiments and crew autonomous exploration operations. In future space missions to the Moon or Mars, crewmembers will be given more autonomy to plan and carry out their activities due to the long distances involved from the home planet, and the nature of the exploration mission objectives to explore planetary surfaces and conduct geological and physiological research. 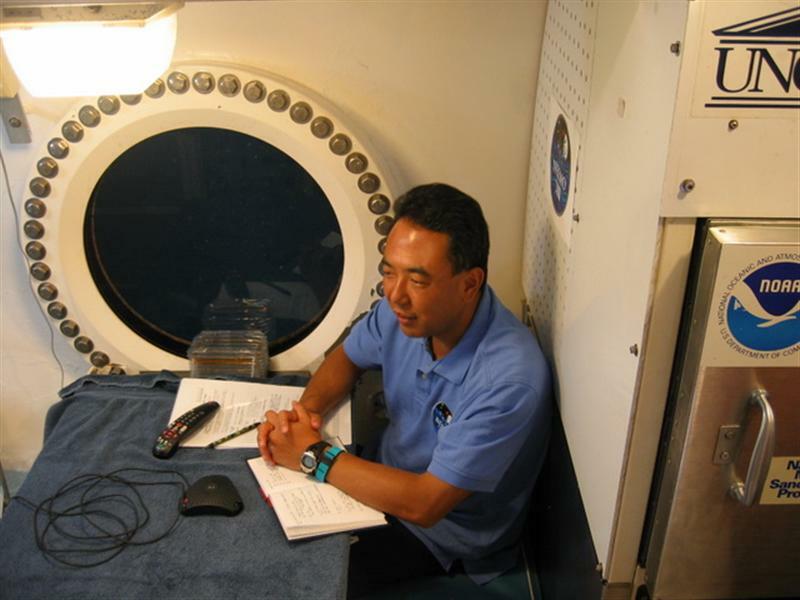 Questionnaires used in this portion of this study will focus on mood and interpersonal interactions between crewmembers isolated and confined environments as well as mission control personnel (topside team). 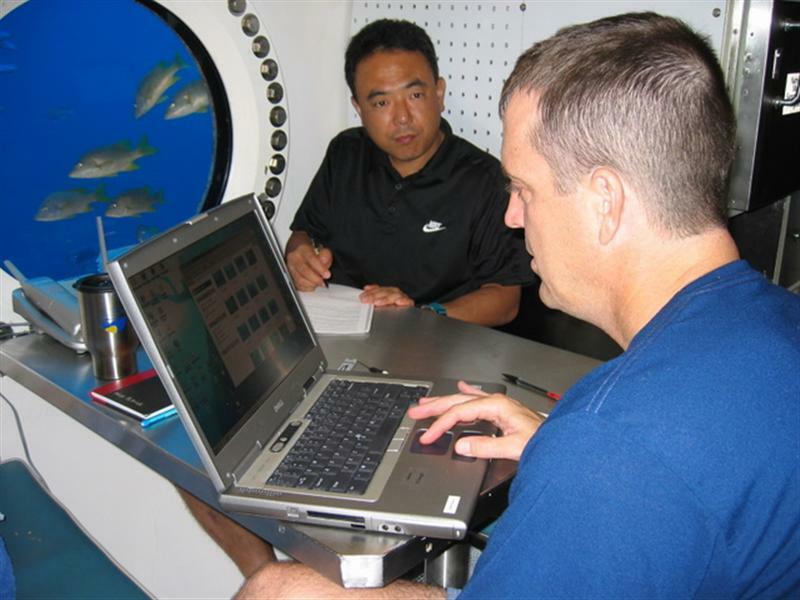 One of the goals of the observational study is to test a method and tool that monitors performance, stress and sleep-wake patterns in astronauts (aquanauts) living in an extreme environment in conditions similar to those that crewmembers experience aboard the Space Shuttle and the International Space Station. 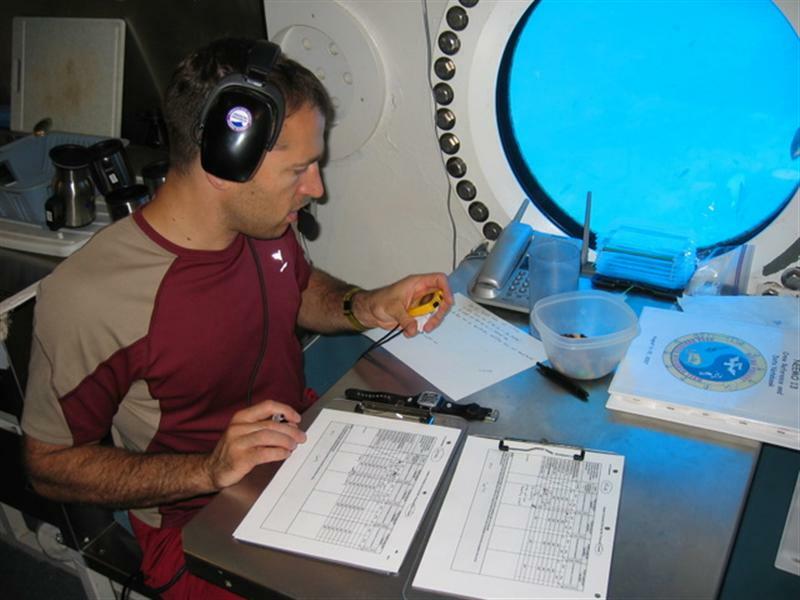 This is interesting to researchers because they see similar physiological responses in crewmembers on NEEMO missions to those they see for astronauts on space missions. 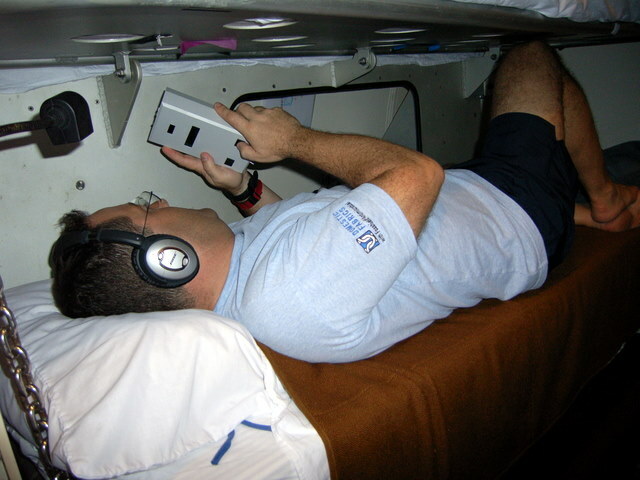 Additional performance, stress and sleep-wake patterns data will be collected on the topside team. This goal will be accomplished through three specific aims: (1) test the usefulness of an embedded task performances measures of cognitive performance known as the Psychomotor Vigilance Test (PVT), (2) Salivary cortisol measures of stress as a physiocological correlate of stress response, and (3) Monitor sleep-wake patterns using ambulatory technology - wrist actigraphs (actiwatches) and sleep logs/diaries. Operationally, we are simulating a 20-minute time delay for the remainder of the mission, which represents an average time for a communication signal to travel between the Earth and Mars. So, we are no longer able to communicate freely with each other. Instead, we are using textual methods (e.g., email, summary reports) and video files to stay in sync with one another. The lessons we are learning are already piling up!Finally, additional research from this mission will provide NASA with habitability and human factors data. Since our modules on the Moon will face the same types of size and volume constraints as Aquarius does, there is a wealth of information that can be gained from studying it.